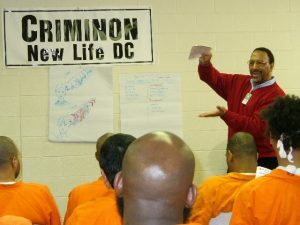 Criminon New Life DC delivers a unique program providing individuals with life skills they can use to improve their decision-making and reverse negative life habits. This puts them in a condition to be able to successfully navigate their reentry into their families and communities. It also makes them better able to take advantage of other reentry services such as finding housing and employment. The program includes courses or seminars that directly address the specific factors that contribute to poor decision-making, negative life habits and a loss of personal self-respect which led to involvement in the criminal justice system. It teaches highly-workable literacy skills, drug education and provides training to identify and overcome those anti-social behaviors and individuals in their lives that would bring harm to them. Based in Washington, DC, Criminon New Life DC (Criminon meaning ‘no crime’) is an established evidence-based program, federally tax-exempt, non-profit corporation. It has been delivering services in the DC Metropolitan area since 1994. It is a part of an international network of Criminon groups that collectively deliver services to over 15,000 individuals per-week worldwide. teaching a class at DC Jail. Criminon’s rehabilitation services produce transformational cognitive changes for program participants. As a result, our services are accepted as an indispensable part of pre- and post-incarceration programming by governments and community organizations. Criminon aims to restore to each human being a sense of Self-Respect, Dignity, Trustworthiness, and Honor. It is by achieving these goals that we can reach our aim to help stop the ever-increasing rate of incarceration and break the cycle of recidivism. The full Criminon curriculum includes eight courses. At DC Jail we are currently teaching the following four classes in rotation. We assist criminal justice officials through effective strategies and training programs that help them create a more rehabilitative environment. Criminon New Life DC has delivered many rehabilitation classes and services to the Washington, DC Department of Corrections since 2003. 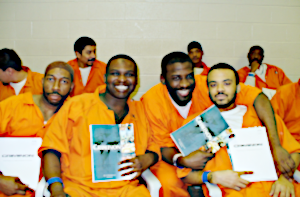 Prior to that that we delivered classes in the maximum security section of the federal prison located in Lorton, VA for over six years. (The Lorton prison has since closed). We have delivered weekly rehabilitation classes for the general male inmate population inside the Washington, DC Department of Corrections Central Detention Facility (CDF), for the re-entry inmates in the Residential Substance Abuse Treatment (RSAT) program, and for the general juvenile and female population inside the Correctional Treatment Facility (CTF). Additionally, we have delivered Criminon classes and services to the DC Mayor’s Office of Returning Citizen Affairs (MORCA), the Federal Court Services and Offender Supervision Agency (CSOSA) Reentry and Sanction Center, and the US Federal Courts Probation Service Office in Washington DC. Criminon New Life DC advocates for sane reforms to our criminal justice systems. We support policies which are equitable, just, economically sustainable, and that will result in consistent individual improvements and better survival outcomes. Criminon volunteers and Board Members participate in several local justice reform coalitions.